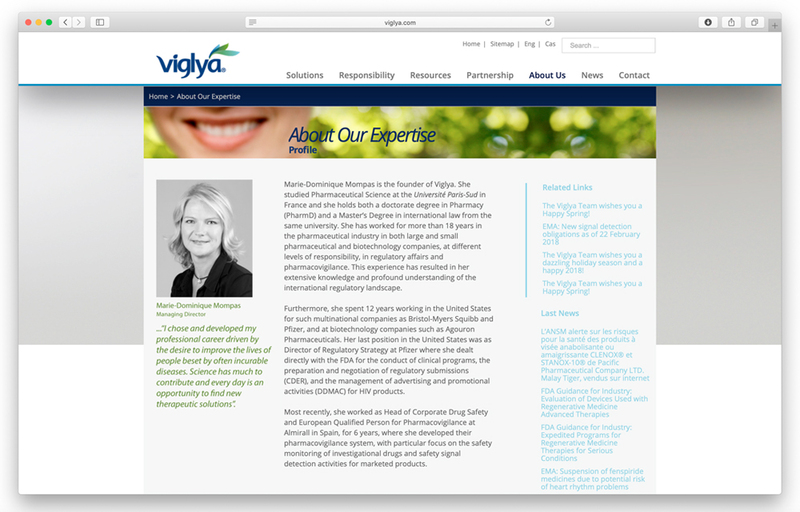 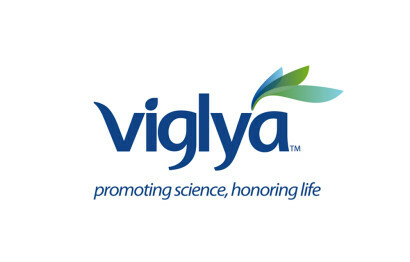 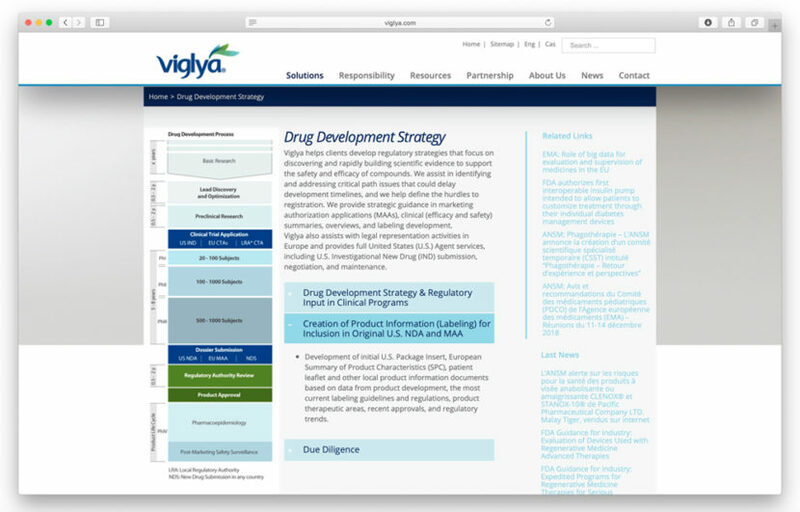 Viglya is a strategic consulting firm specializing in regulatory affairs and pharmacovigilance services for drug development , registration and product lifecycle management for the biotechnology and pharmaceutical industries. 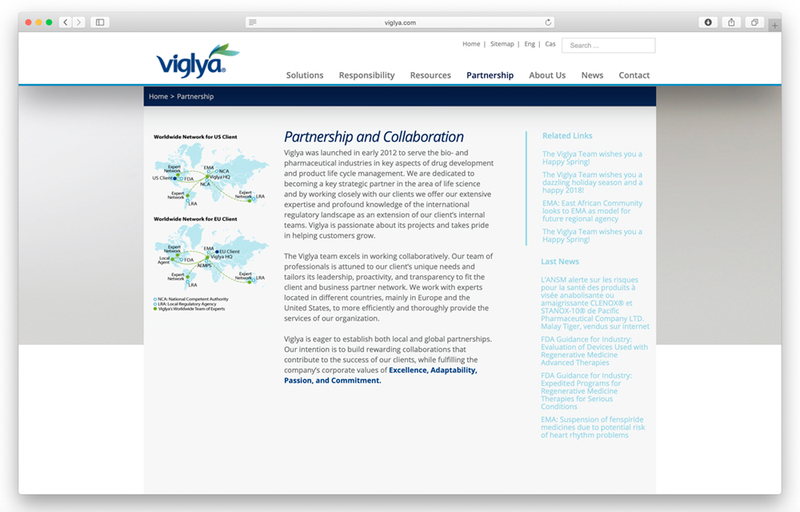 Verbal identity creation , naming, and definition of the strategic positioning of the brand to the international market . 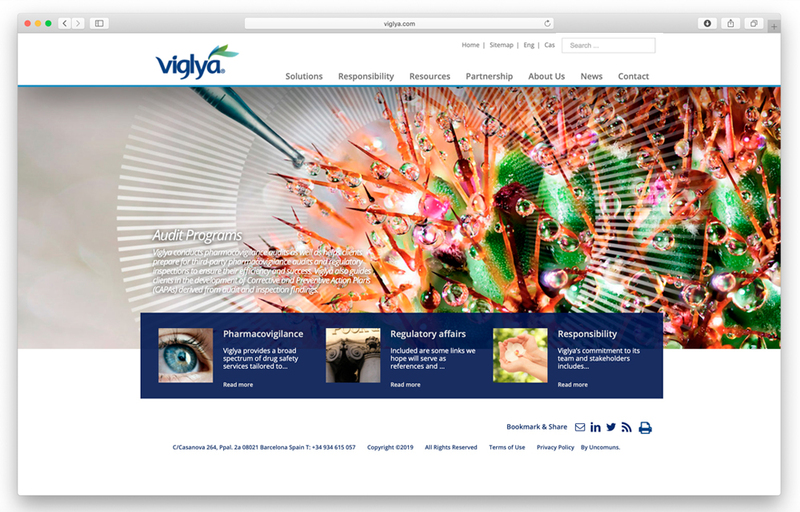 Development from the definition of corporate identity of content, its visual corporate identity and supports on / off-line media. 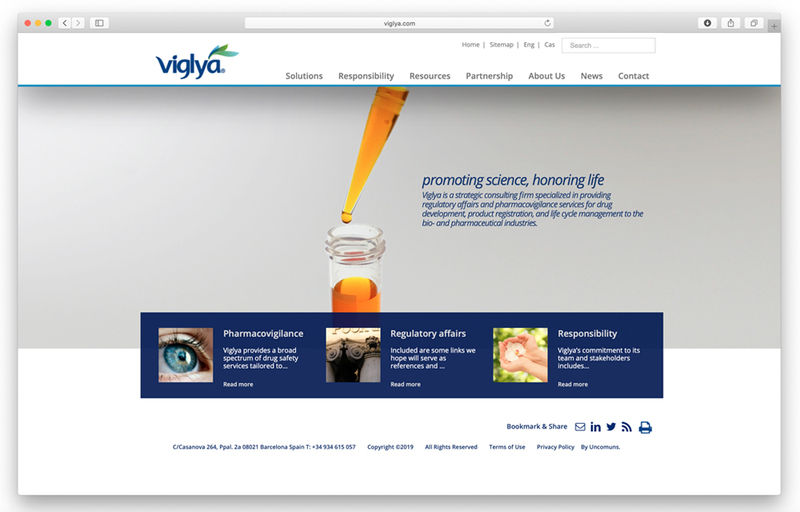 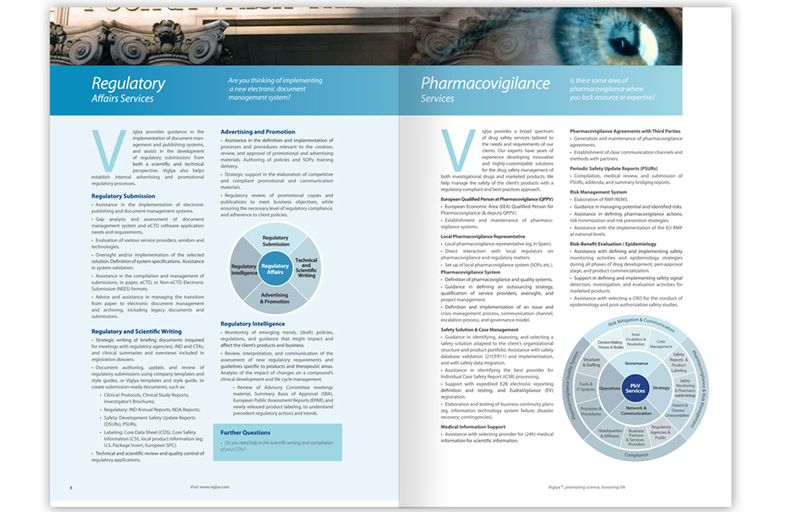 Main Idea Viglya SL provides pharmacovigilance services and regulatory affairs , to companies in the pharmaceutical and biotechnology industry . 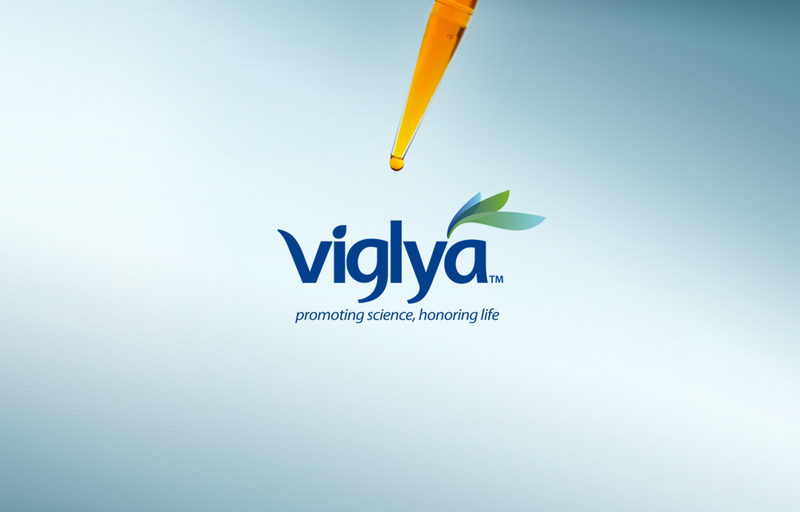 With this idea has created the naming of the brand that leads us into the world of the company dedicated to the life sciences . 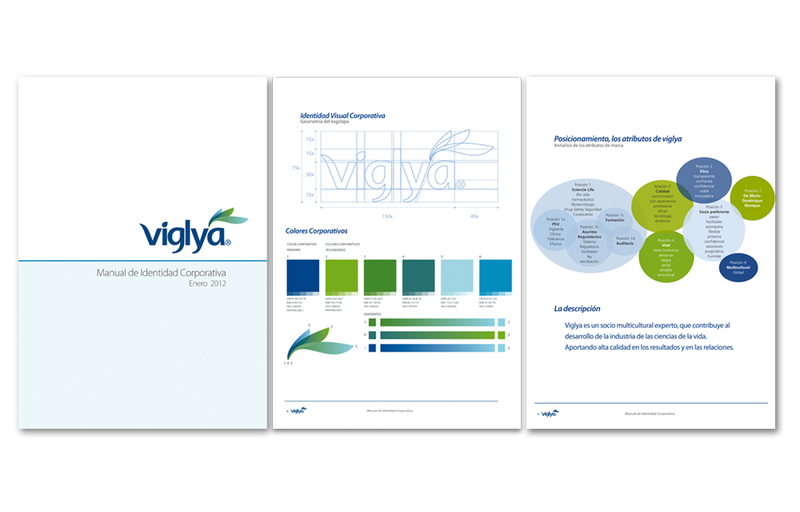 The corporate visual identity uses a typeface in deep blue (stability, technical competence , rationality ) and is composed of ascending and descending lines giving the brand a dynamic and solid. The ” V ” refers to tick or mark that is made when a task is properly completed . The isotype or picture accompanying typography adds to the overall composition the concept of growth , synergies and transparency. 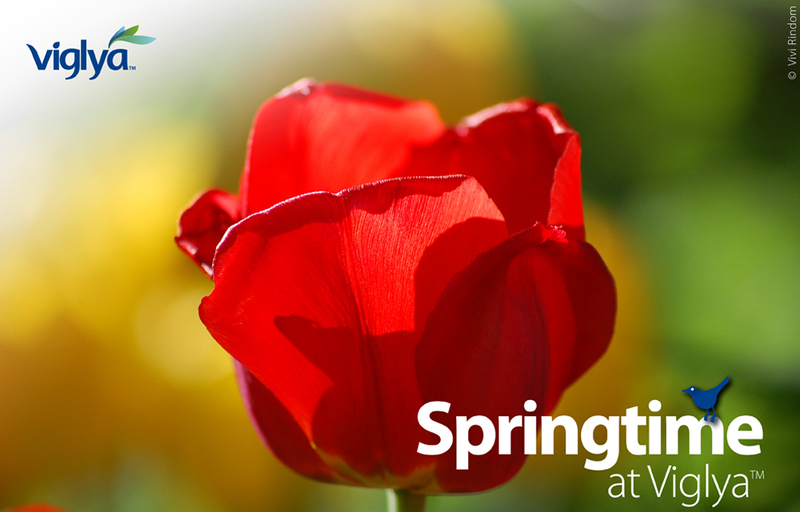 The slogan “Promoting science , honoring life” , adds strength to the brand, defines the business and philosophy of the company. 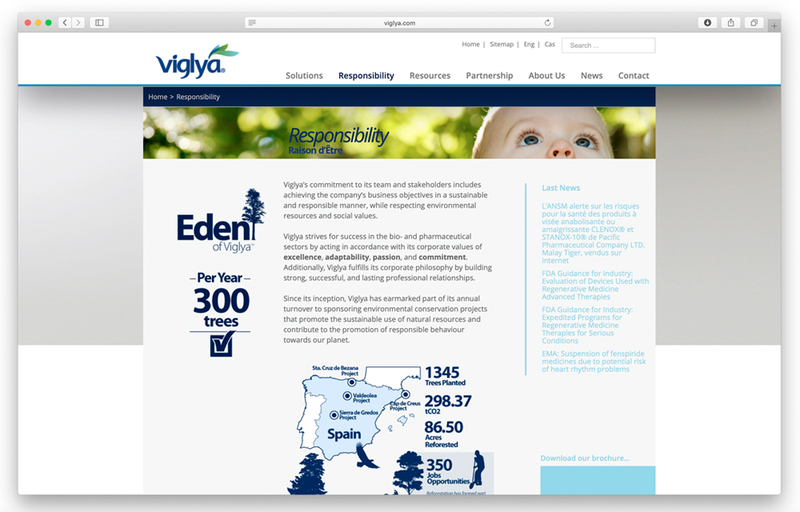 For Eden of Viglya campaign seeks to emphasize the company’s commitment to life, through the care of the environment consisting of the sponsorship of planting medicinal trees in a forest for Viglya corporate . 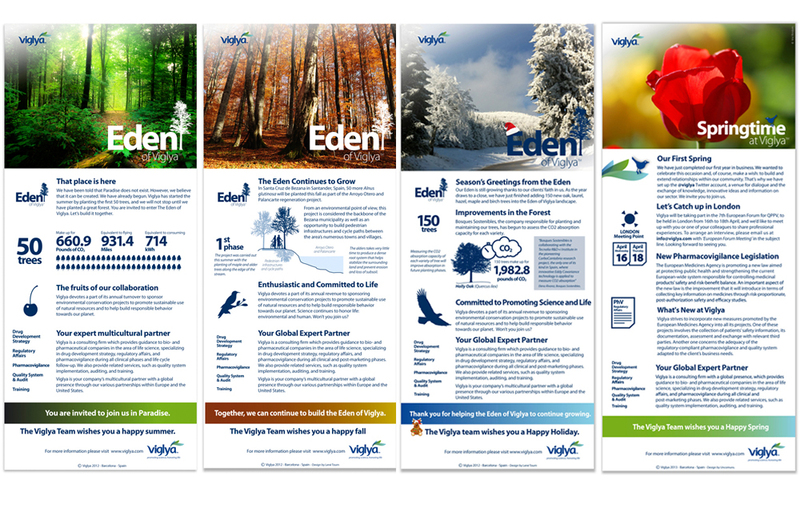 We developed a first stage of creating naming that should communicate the company’s business in the international arena . 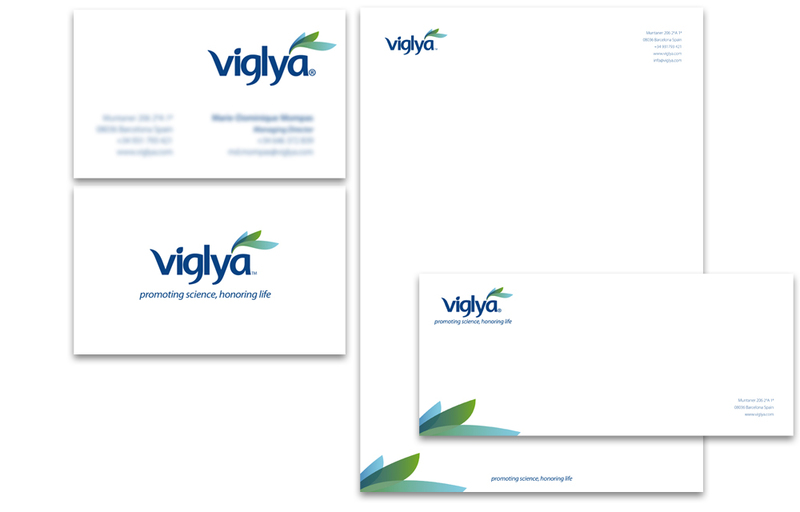 Then we worked on the definition of corporate identity and brand positioning . 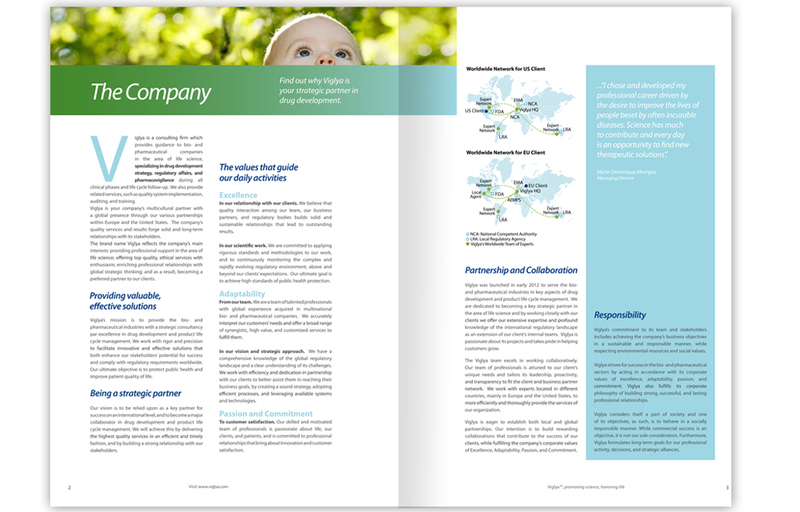 In the second phase developed the content and design for corporate dossier and the website. 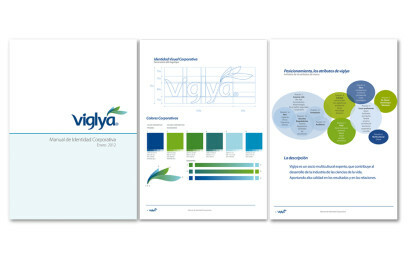 Since the launch of the brand are held constant communication actions to its stakeholders and takes forward the corporate social responsibility campaign . 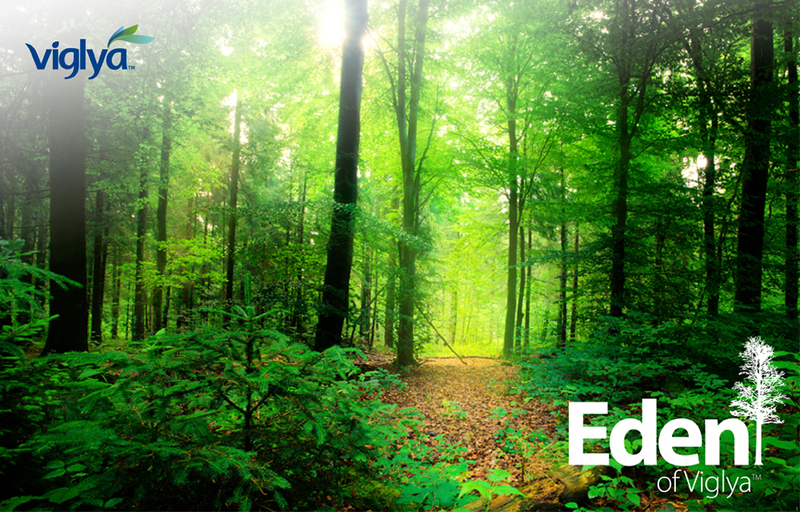 Excellence – Adaptability – Passion – Commitment.